Edward Abbey - "Has the statute of limitations run out on that?" In 2006, my first knowledge of Edward Abbey came by reading his 1968 nonfiction book, Desert Solitaire. At that time, I was living in Moab, Utah, near Arches National Park, where Abbey lived while writing the field notes, which later became the book. 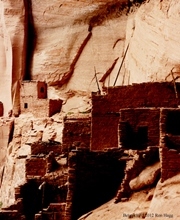 Among other issues, in Desert Solitaire Abbey wrote about the supposed ongoing destruction of Navajo National Monument, Arizona. In the late 1960s, a paved road reached the newly renovated Sunset Campground there. Even if it brought appreciative visitors to a National Monument, Abbey considered a paved road through any natural landscape abhorrent. In July 2008, I wrote an article here about Edward Abbey. Even before reading Abbey's writing about Sunset Campground and Navajo National Monument, it was one of my favorite camping spots. Never crowded, and always free, that sacred place features sweeping views and starry nights. Better yet, the long sight-lines brought a strong cell phone signal into my coach. While visiting that hallowed place, I spent a morning walking around and looking at grand views, but also of pre-Puebloan alcove dwellings in remote canyons. Although Edward Abbey had died in 1989, that morning in 2008 I decided to contact his spirit and, with permission, take it (him?) for a tour of his lamented place. I do not know if any consciousness associated with the man Edward Abbey walked with me there. All I know is that at the end of the walk, I felt peace and appreciation for that wonderful place. If the experience of death releases all worldly cares, I prefer to believe that the death of Edward Abbey cleared his spirit of all the cranky and cantankerous statements he ever made in life.. Soon after that, I became enamored of all things Edward Abbey. Since Moab, Utah represents the physical and emotional center of my own writing; I soon purchased the website www.moababbey.com, followed by www.moabbey.com. Although both are hastily assembled compilations from my other sources, I shall soon update both. MoabAbbey.com will contain my collected articles on the man, Edward Abbey. Moabbey.com will feature my cartoon character, Moabbey the Coyote. Moabbey and his superhero friends are from my online novel at www.jimmcgillis.com. 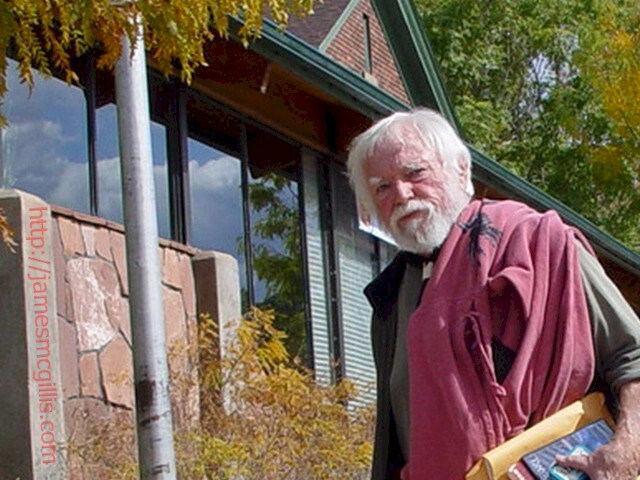 In October 2008, I attended and participated in “Confluence: A Celebration of Reading and Writing” in Moab, Utah. Among my teachers, there were Jack Loeffler and Craig Childs. 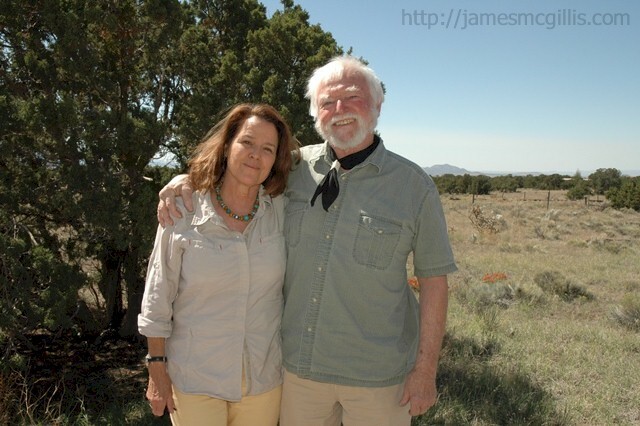 During my session with Jack Loeffler, I learned that he had been good friends with Edward Abbey. 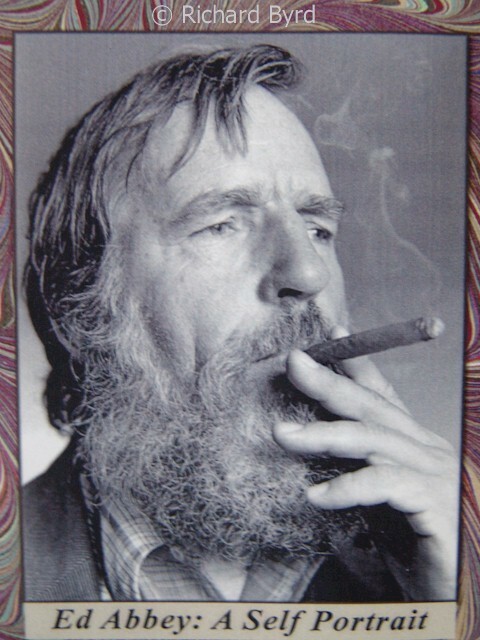 On January 1, 1983, Jack Loeffler interviewed and made an audio recording of Edward Abbey. As part of our tuition for the course, Jack Loeffler gave each student a copy of the CD, “Ed Abbey: A Self Portrait”. During that extended interview, Edward Abbey waxed both poetic and profane. A little more than five years after the recording session, Edward Abbey died. Rather than quote his rambling attacks on “the machine”, I prefer to quote Edward Abbey on the subject of music. His words, are edited for brevity. Edward Abbey – “I love music, yes indeed. Lately, I’ve been in love with the country music of America… the Blue Grass, the Cowboy Songs, the Blues, and to some extent jazz." "First, there was the beating drum. Then, somebody invented the flute. Maybe we should have stopped there. Drums and flutes – still two of my favorite instruments”. Today, no one owns Edward Abbey’s thoughts, but many people own examples of his writing. Now, almost twenty-five years after his death, his former friends and associates have come together to tell us what they remember about Edward Abbey and his legacy. Under the direction of filmmaker ML Lincoln, “Wrenched – The Movie” is now in post-production. After its final funding, the world shall see a filmed reconstruction and illumination of Edward Abbey’s spirit. Not surprisingly, Jack Loeffler will narrate “Wrenched – The Movie”. 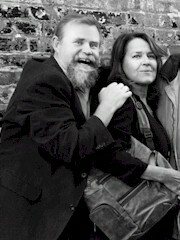 For her part, writer/director ML Lincoln has sought out and interviewed each surviving member of what some might call the Monkey Wrench Gang. When I inquired about the movie, Ms. Kristi Frazier, a member of the post-production staff provided the following statement by Ms. Vicki Day, Post Production Supervisor for the film. I would like to introduce you, and hopefully your readers, to the upcoming feature documentary Wrenched, (www.Wrenched-themovie.com). 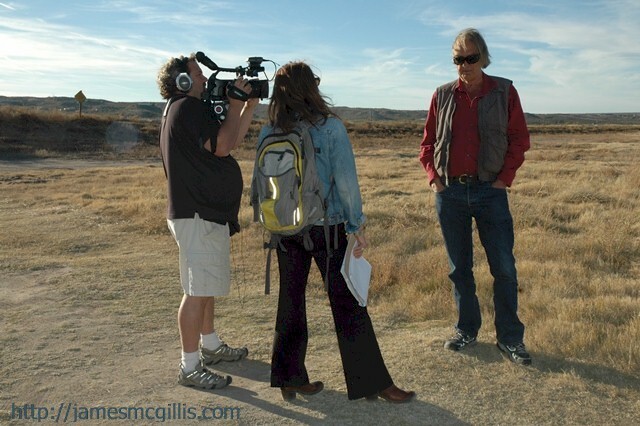 The film explores how novelist Edward Abbey lit the flame of environmental activism and gave the movement its soul. Wrenched features Abbey's gang of close friends: many of whom inspired his most memorable characters. Outraged by the degradation of the American Southwest, they pioneered a radical form of environmental activism, a blueprint for "wrenching the system." 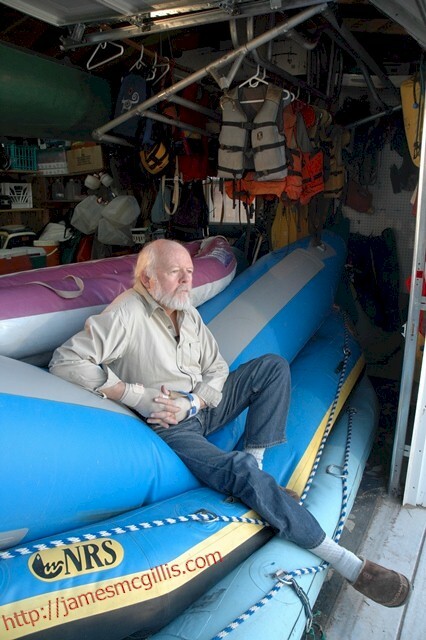 Abbey’s writing became a call to action for many conservationists who came of age in the '70s and '80s. 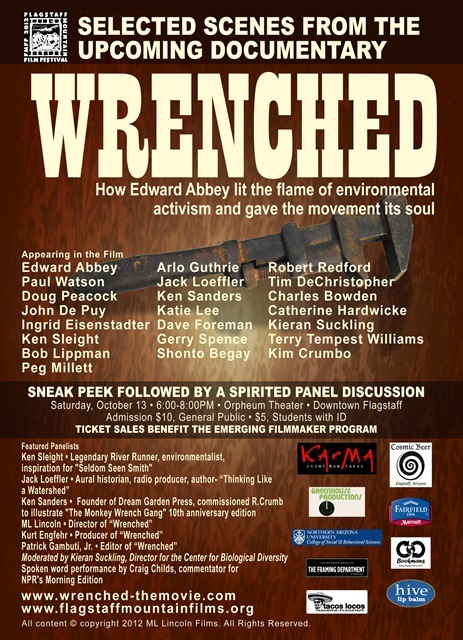 Wrenched captures the passing of the monkey wrench from the pioneers of eco-activism to the new generation who will carry Abbey’s legacy into the 21st century. We are currently in post-production with an amazing team. Producer Kurt Engfehr has worked in all areas of television and film production, known for his work as the main editor and co-producer on two of Michael Moore’s films, Bowling For Columbine and Fahrenheit 9/11. Emmy-Award-winning Editor Patrick Gambuti, Jr., co-directed and edited At the Edge of the World and co-wrote and edited Greedy Lying Bastards, a documentary that exposes the fossil fuel industry. Wrenched is now in need of funds to get this important film through the final stages of post-production. Please lend your support by spreading the news about our crowd-funding campaign, as we honor the community of activists who were the forerunners of the environmental movement! In October 2012, ML Lincoln screened selected scenes from “Wrenched – The Movie” at the Orpheum Theater in Downtown Flagstaff, Arizona. 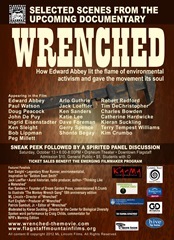 In attendance or featured as panelists were many of the individuals who inspired the characters in Edward Abbey’s book, “The Monkey Wrench Gang”. 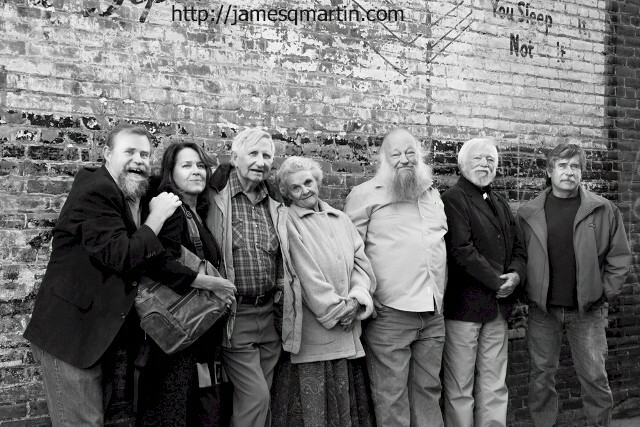 In addition, that evening, Craig Childs joined some of the elder statesmen and women of the environmental activist movement outside the theater for a photo by James Q. Martin, shown here.